Welcome to Stagedoor's NEW Recording Facility. 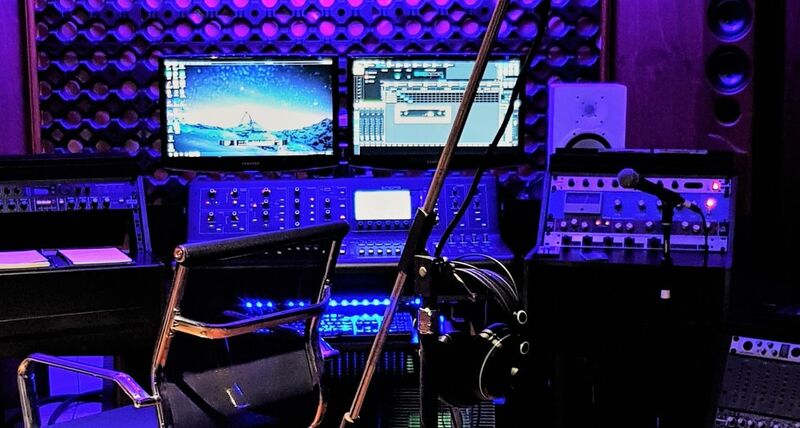 Rebuilt from the ground up by our new Chief Engineer Mark de Berard , its designed to not only be cutting edge but also feel like a place where you could create your next masterpiece. We have spent the last 8 months researching what musicians want in a studio and created a series of products that give the modern musician what they have asked for. So What did we learn ? Musicians want to feel safe that their investment is treated with respect and walk away with a recording that is impressive and inspirational. A comprehensive recall function for every project. Your project is saved so that we can continue work at any time without having to set it all up again. The Midas Desk will snap back to saved project parameters to continue the flow. An engineer with experience that cares about your project , that is fun to work with , professional , knows his music , can play instruments. has an outstanding ear for production ideas and is keen to deliver over and above expectations. A Facility that inspires creativity without having to look at the clock. 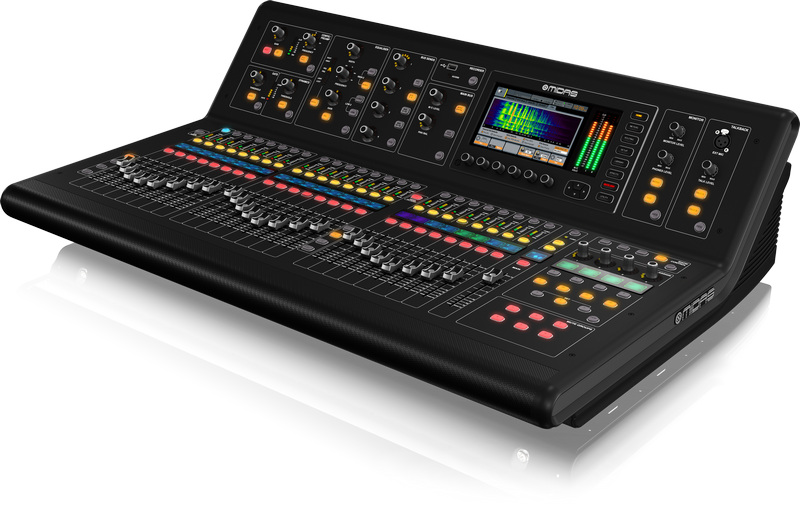 The Mix Console is the heart of any studio , The Midas M32 is an award winning piece of equipment that will deliver faithful and reliable service. Features that exceed any recording situation are now at our fingertips. We use both Pro Tools and Cubase 9.5 Pro. Any session can be exported from Cubase to Pro Tools or vice versa. We can prep your files for export to Pro Tools Session. We can import any file to mix, edit or repair. Tascam SS-R250 N Dedicated Solid State Recorder. 16 Breathtaking FX “Plug-Ins” Based on True Physical Modeling, giving you access to a total of 50+ effects that would otherwise cost tens of thousands of dollars in hardware. Urei’s 1176*,Teletronix LA-2A* and Fairchild 670* compressors as well as the legendary Pultec* EQP-1a and EQ5 equalisers etc. We also added a cutting-edge 5-band multiband compressor. Cubase Pro Compressors and FX Package. Recorded live in your rehearsal room to 8 Track digital recording @ 44.1 k @ 16 Bit Sample Rate , Our Engineer will be with you in the room operating and monitoring the recording for you. At the end of the session you have the option to take your files with you or opt for our engineer to mix them on the spot. What you will need is a minimum 8 gig SD Card. Record Time is approximately 2 hours. In the 2 hours you should be able to run through your songs a few times and then pick the best take. Recorded live in Room 7 to 16 Ch Digital recording through our Midas Desk and Premium Midas Pre Amps at either 44.1 k or 48 k 16 or 24 bit , At the end of the session you have the option to take your files with you or opt for our engineer to mix them on the spot. 600+ GST PD All inclusive is Control Room , Room 7 ( live Room ) Premium Mic Package , Premium Midas Pre Amps recorded @ at either 44.1 k or 48 k, @ 16 or 24 Bit , Class A Valve Pre Amps , Premium Outboard FX , Pre Amps and Compressors, Engineer Included. For Every day booked you get 1 hour of File Editing Free. this service is done after the recording to edit files. At the end of the session you have the option to take your files with you or opt for our engineer to mix them in your next session. This product qualifies for our Block Mixing Rate. Block Mixing Rate : 8 Hours @ $500 PD + GST , Engineer supplied with Control Room , Midas Premium Desk , Huge Range of Premium Wave Plug ins and Premium Outboard FX and Equipment. You also have the option to Track Over Dubs if necessary. ( done in control room ) 8 Hour Session , for every day booked you get one hour of editing free. $1900+GST 4 Days @ 8 Hours a Day : includes half day of rehearsals which are recorded live to listen back, 2 free hours of editing. The other 3.5 days can be split up any way you want. You can dedicate to tracking or tracking and mixing. You can also opt to split the session after the drums are tracked. EG 2 days of tracking then come back at a later stage for over dubs and mixing. $3100 + GST 7 Days @ 8 Hours a Day LOCK OUT : includes full day of rehearsals which are recorded live for review, 5 free hours of editing. The other 6 days can be split up any way you want. You can dedicate to tracking or tracking and mixing. You can also opt to split the session after the drums are tracked. EG 2 days of tracking then come back at a later stage for over dubs and mixing. We can master in box : $39 Per track + GST , Minimum of 3 tracks. No hourly rate applicable. Or Use a combination of In Box and our out box Analog Mastering Chain : $49 Per Track + GST , Minimum of 3 tracks. No hourly rate applicable. We have a range of Audio tools to repair your files if they are damaged or noisy.